Once in Orkney, better to have your own car to discover all the things to do in Orkney on mainland and in the neighboring islands. And if you are wondering where Orkney is, it is just above the North East Coast of Scotland. Below is a simple Orkney Islands Map to give you an idea of the locations of the isles compared to mainland Orkney. Just to get you oriented. Those were my favorite attractions of Mainland Orkney. 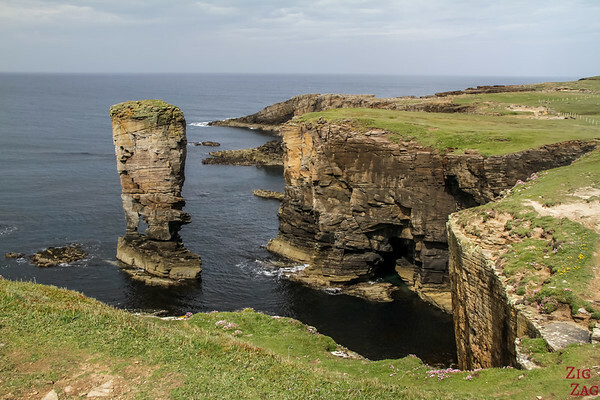 The top locations on Mainland Orkney, along with many other beautiful places, are included in my eBook: The Road Trip Guide - Scotland. 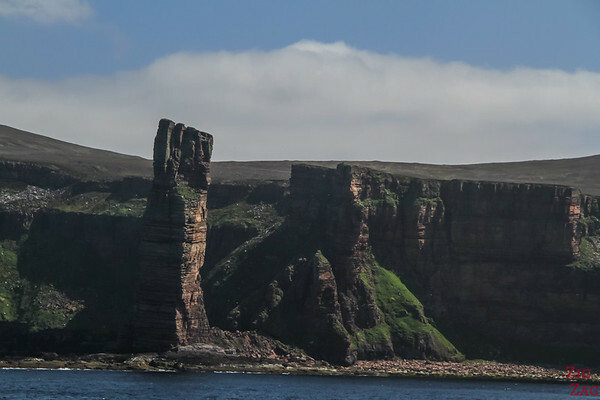 Located on the West coast, the Yesnaby cliffs is a walk along tortuous and eroded cliffs. One of the highlight is the Sea Stack called the Yesnaby Castle. The walk is easy. Bring your binoculars to admire the many bird nesting in the vertical cliffs. Discover more pictures and practical information to plan your visit on the Yesnaby Castle and Cliffs article. 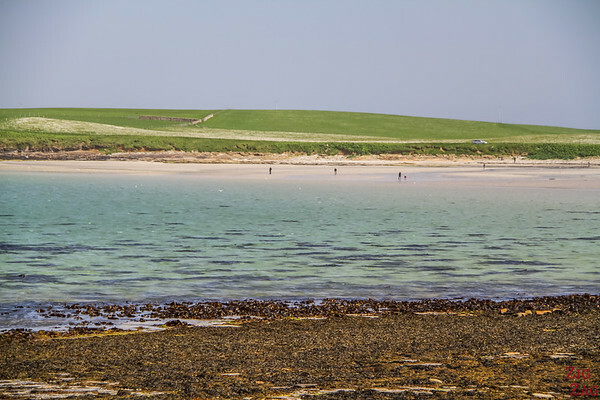 Skara Brae was discovered under a sand dune after a windstorm in 1850. It is a settlement that was built and used 5000 years ago. With a great state of preservation, it gives a good idea of life during the Neolithic. 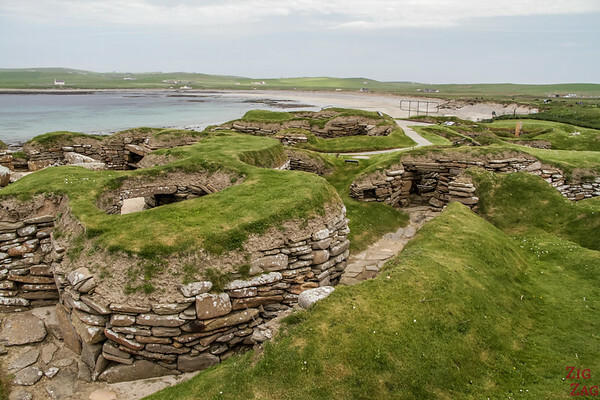 Learn more about this extraordinary site on the article dedicated to Skara Brae Orkney. 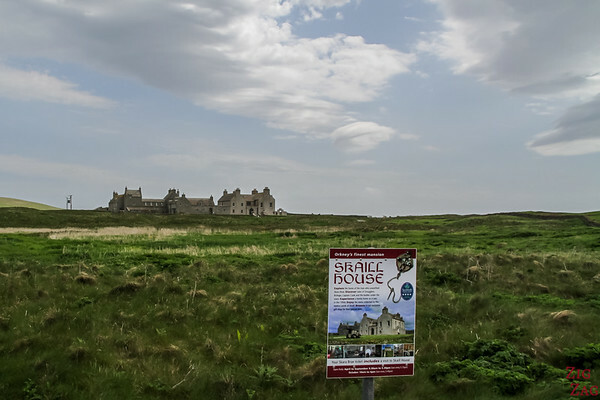 Right next to Skara Brae, you can visit the Skaill House: how a family home was in the 1950s and the tales related to the discovery of Skara Brae. The Brough of Birsay is not as fascinating as other sites in Orkney. However its location and limited access during low tide makes it for an adventure. 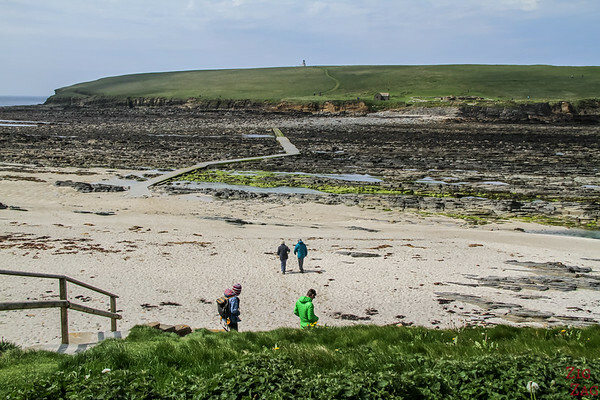 Learn more about the tidal island and its access on the article dedicated to the Brough of Birsay. The Broch of Gurness was home to a thriving Iron-age community. The ruins are well preserved. There is also a small museum and great explanation. 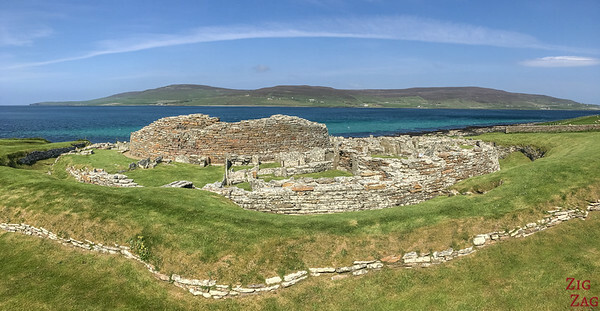 Because of the combination of history and beautiful landscape, this site was one of my favorite things to do in Orkney Scotland. Discover in photos and video this amazing site on my article dedicated to the Broch of Gurness. The Earl's Palace in Kirkwall was built around 1603. It was built by Patrick Stewart, the Earl of Orkney who wanted to create a magnificent complex. He was actually known to be ambitious, arrogant and irresponsible. 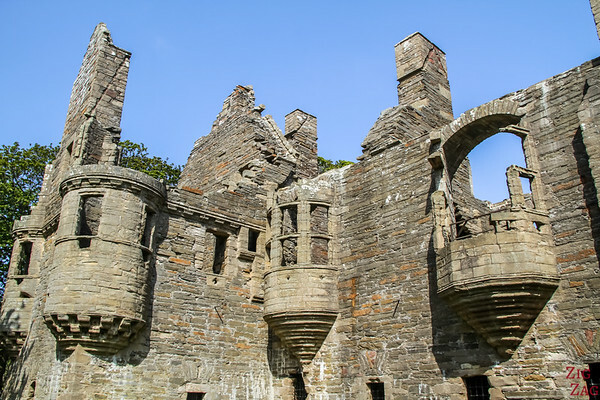 Discover more on the article dedicated to the Bishop and Earl's Palace Kirkwall. 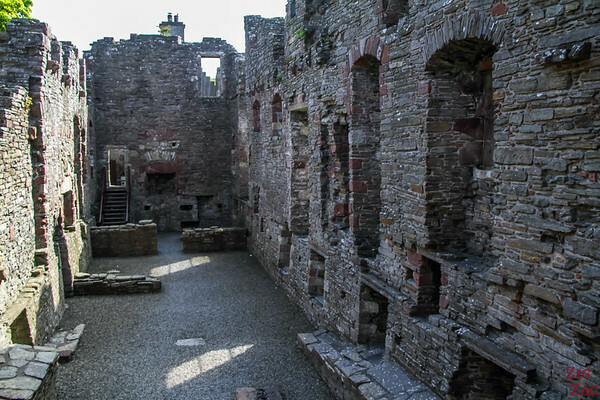 The Bishop Palace was the residence of the medieval bishops of Orkney. It was built in the mid 1100s at the same time as the St Magnus Cathedral. The ruins are not as interesting at those of the Earl's palace but you can get up the tower for a great view of the cathedral. 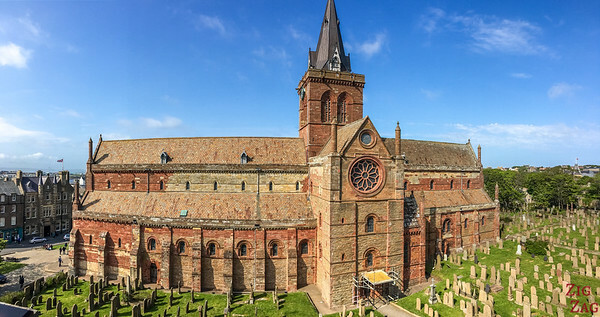 The Kirkwall Cathedral is dedicated to St Magnus, an earl of Orkney who was murdered by his cousin. The cathedral was built in the mid 1100s and expanded twice. It is made of beautiful Yellow and Red sandstones. Discover it in video and photos on the article dedicated to S﻿﻿t Magnus Kirkwall Cathedral. Meashowe is considered one of the best-preserved chambered cairns. It survived from 5000 years ago, enabling us to discover its prehistoric design. 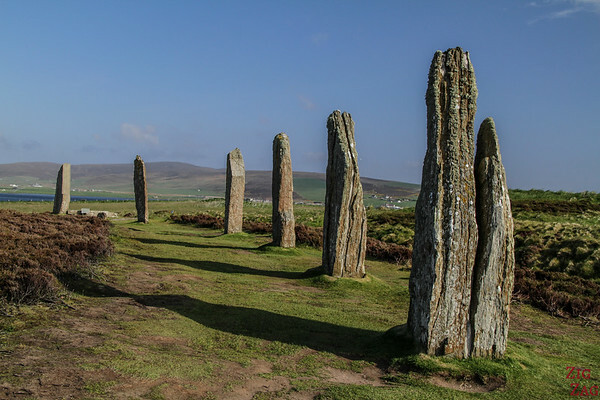 It is one of the most recommended sites, one of the top things to do in Orkney Scotland. But access is limited and visit must be pre-booked. 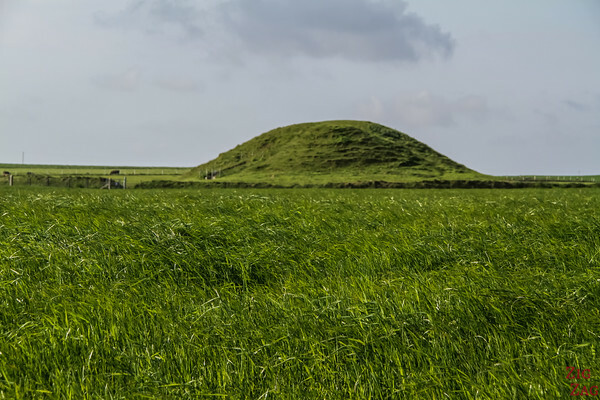 Learn more in the article dedicated to the Maeshowe Chambered Cairn. 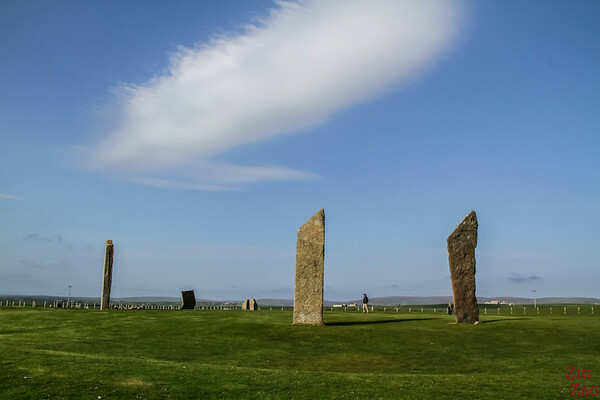 One of the earliest stone circles in Britain, the Standing Stones of Stenness Orkney are towering up to 5.7 meters. Even with only 4 remaining Stones, it is not difficult to imagine how significant the site must have been 5000 years ago. Video, photos and practical information on my article about the Standing Stones of Stenness. The Ring of Brodgar Orkney is a Neolithic stone circle located on small band of land between Loch Sternness and Loch Harray. It is part of a central area designated a Unesco World Heritage site which also includes the Standing Stones of Stenness. 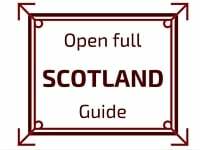 It is definitively one of the top thing​s to do in Orkney Scotland. Video, Photos and practical information on my article about the Ring of Brodgar. If you are looking for something a little more isolated to enjoy the peace of the island, you can find a few great stay in family houses or farms on Airbnb. If it is your fist time on Airbnb you can get a 25€ credit towards your first stay - just use this LINK. I stayed in a small guesthouse in Stromness to be close to the ferry. You can see my review on my Scotland Accommodations Article. There are many islands in the Orkney archipelago. The Orkney Ferrie﻿﻿s allow you to hop from one to the other. of your Top things to do, can this be accomplished within the 9 hour window during the day-trip you suggested your previous post? would you also suggest a hiking backpack for my 2 year old or is a stroller ok? I did cover the 6 suggested top stops plus the palaces in just one day. You should definitively use the backpack. Easy walking but grassy or rocky paths.